Our Club has been meeting since September 1977. We now have about 360 members altogether, of whom 70 are overseas! 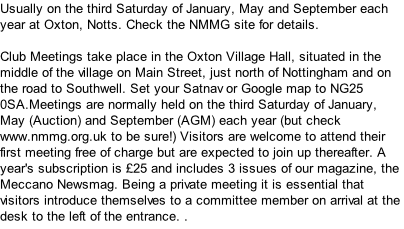 Meetings these days take place in the village hall at Oxton (near Nottingham) and occupy the whole day. In fact, so keen are folk to get in that we have had to bring forward the opening time to 9.30am. 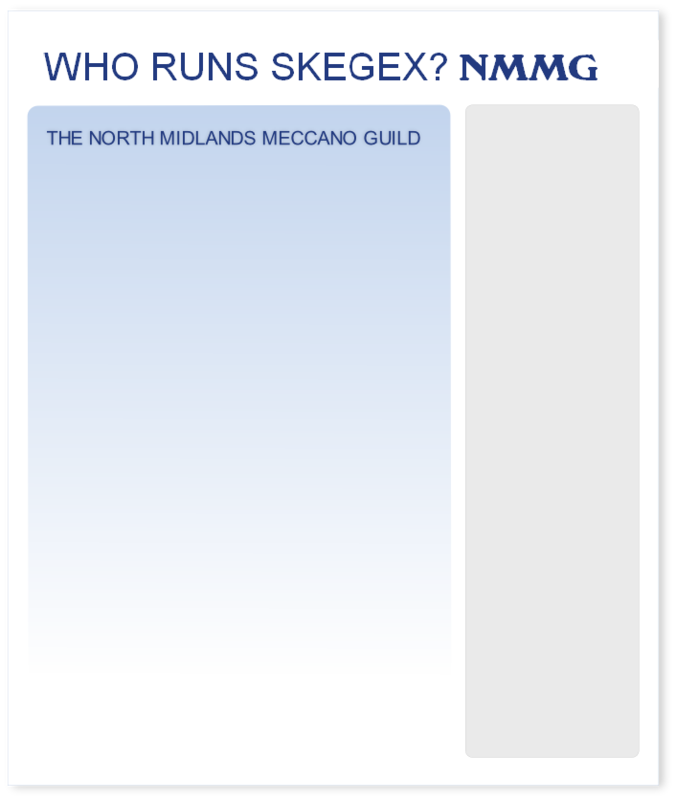 We organise Skegex each year, stage three Club Meetings for members every year, and also support a wide range of other local shows and exhibitions. Certainly: you are welcome to bring a model or a Meccano-related exhibit for display in the main hall but it is not a condition of entry! There is no size-limit on exhibits (large or small) but at busy times exhibitors will be expected to squeeze up without question to make room for late arrivals. 21st Jan, 13th May and 167th Sept.